Isibindi Rhino Ridge Safari Lodge is in the first private concession in Hluhluwe-Umfolozi Game Reserve. With buildings arranged along the crest of a ridge, the views down into and across the valley are superb. The main lodge has a long, split-level deck making the most of these views, ideal for dining, drinks by the firepit and simply chilling. The infinity pool, at the very edge of the ridge, is ideal for cooling swims, and there are loungers and parasols on the deck for relaxation. The spa offers a comprehensive range of therapies and beauty treatments. The lodge provides complimentary morning and afternoon game drives in the concession and the national park on a daily basis, which can be supplemented by guided walks and community visits. Excursions further afield include visits to iSimangaliso Wetland Park, St Lucia Lake and a Zulu cultural village. There are 4 categories of rooms, all providing well-designed en-suite accommodation with private viewing decks. Safari rooms sleep 2 in twin or double beds, and there are adjoining rooms for families. Bush villas offer extra space and additional comforts such as air conditioning and fireplace, and the honeymoon villas are the epitome of refined living and have their own plunge pools. Open: Isibindi Rhino Ridge Safari Lodge is open all year. Location: The lodge is on the western edge of Hluhluwe-Umfolozi Park, a Big 5 destination. The nearest airport is at Richards Bay, about a 1 hour 45 minute drive away. To access the lodge you need to enter the park, whose opening times are 06:00 to 18:00 in summer and 07:00 to 19:00 in winter. Rooms: There are 16 rooms located 10 metres apart at varying distances from the main lodge, the furthest being about 200 metres away. These are made up of 8 luxury bush villas, 2 honeymoon villas, 4 safari rooms and 2 family safari rooms. Together these provide accommodation for a maximum of 36 guests. All rooms are air-conditioned and have mosquito nets, electricity, safe and hairdryer. They are situated on the ridge of the hill and have views into the valley. Each luxury bush villa has a twin or double bedroom, ceiling fan, open fire and minibar, en-suite bathroom with a shower and bath, separate toilet, and a private veranda. Honeymoon villas have a large double bedroom with overhead fan, minibar and fireplace, en-suite bathroom with a shower and an additional outdoor shower, toilet, and deck with a plunge pool. Safari rooms can be configured as twin or double bedrooms, are en-suite with a shower, and a private deck. Family safari rooms consist of 2 interconnecting safari rooms, each with its own shower room and viewing deck. Activities: The lodge offers twice daily game drives in Hluhluwe-Umfolozi Park and in the private concession, bird watching, and guided walks at an additional charge. Excursions can be arranged to iSimangaliso Wetland Park and Lake St Lucia for beach time, dolphin watching, seasonal whale watching (Jun-Nov), horse riding, self-guided nature trails, boat trips and kayaking, to Sodwana Bay for scuba diving, and to Duma Zulu Cultural Village and battlefields. These excursions need to be booked and paid for locally. Facilities: The lounge is an open-fronted building with lots of seating and a bar to one side. It leads out to a deck for al fresco drinks and dining, and a firepit. There is an adjoining indoor dining area. The infinity pool is set into a wooden deck with panoramic views of the valley and there is a sunbathing area with loungers and sunshades. The spa offers a menu of treatments that can be booked and paid for on site. The lodge has a gift shop. Dining: The lodge provides breakfast, high tea and an a la carte dinner each day. A light lunch can be supplied on request and at an additional cost. Meals are eaten at individual tables. Children: Children of all ages are welcome. There are family safari rooms, and other rooms can be configured as triples. 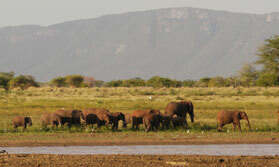 The minimum age for shared game drives is 6 years, though private game drives can be arranged for an extra cost. Children’s dinner is served prior to the main meal. Baby-sitting can be organised on request. Communication: There is Wi-Fi internet access in the main lodge though it can be slow and is not entirely reliable. There is a mobile phone signal. Notes: The lodge is accessible by wheelchair. Credit cards are accepted but debit cards are not.